We actively manage some of the tips in Britain, including several on active landslides. Our experts develop, plan and manage tip reclamation and restoration schemes to enhance the appearance of tips and to ensure the associated risks and hazards are managed appropriately. These works can benefit local communities and provide amenities and ecological benefits. Our solutions take into account tip materials and structures, such as drainage adits, shafts and culverts to ensure stability is not compromised. Erosion of tips can result in water and airborne particles polluting the environment, particularly in tips and tailings from former metal mines. This pollution can end up a long way from the original tip source. Regular inspection and monitoring of disused tips is important to identify stability, public safety and environmental issues. The Coal Authority use a risk based approach, and inspect each of their disused tips at least twice a year, with high risk sites being inspected quarterly. Monitoring of water levels and ground movements are also carried out, along with ad hoc inspections following adverse weather. We currently inspect a large number of disused tip and quarry sites for a number of local authorities and statutory bodies. Inspections often result in the identification of issues such as erosion, instability and security breaches. Following the identification of these issues, we design, specify and supervise remedial works which are undertaken by our experienced civil engineering contractors. The ingress of water is a major cause of instability on tips. 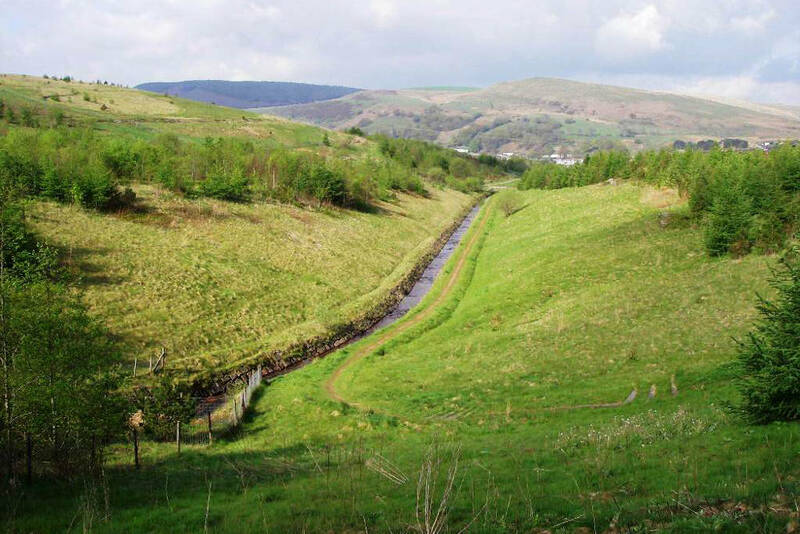 The Coal Authority have undertaken many restoration schemes which have improved vegetation cover on our sites, in order to reduce infiltration and enhance stability. These schemes have the added benefit of providing environmental enhancements to local communities. The management of surface water is extremely important in tip management. Many tips have formal and informal drainage channels which need to be kept clear of debris and vegetation to ensure effective conveyance of flows. Erosion by watercourses at the toe of tips can be controlled by a variety of erosion control and bank improvement measures.